Artists and architects are creators, initiators, and problem solvers. They can envision design solutions that turn an idea into a finished product. Brian Fireman is both artist and architect. 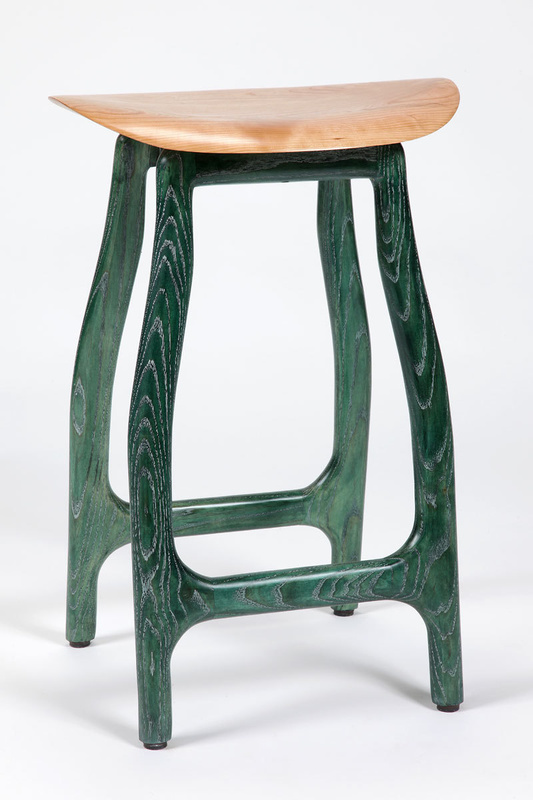 But it was summers spent in nature in the mountains of Western North Carolina that might have had the most influence on him as an artist and furniture maker. Brian grew up in Winston-Salem, North Carolina and spent his summers at camps in the mountains near Brevard. He attended architecture school at Virginia Tech, then worked in Asheville for a high-end residential architectural firm before starting his own business in 2003. 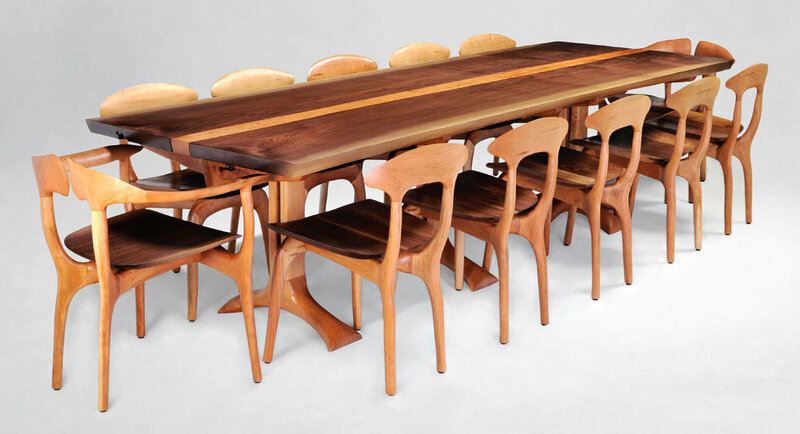 His love of wood as a medium pulled him into the workshop where he found a more hands-on method of designing was where he wanted to be. 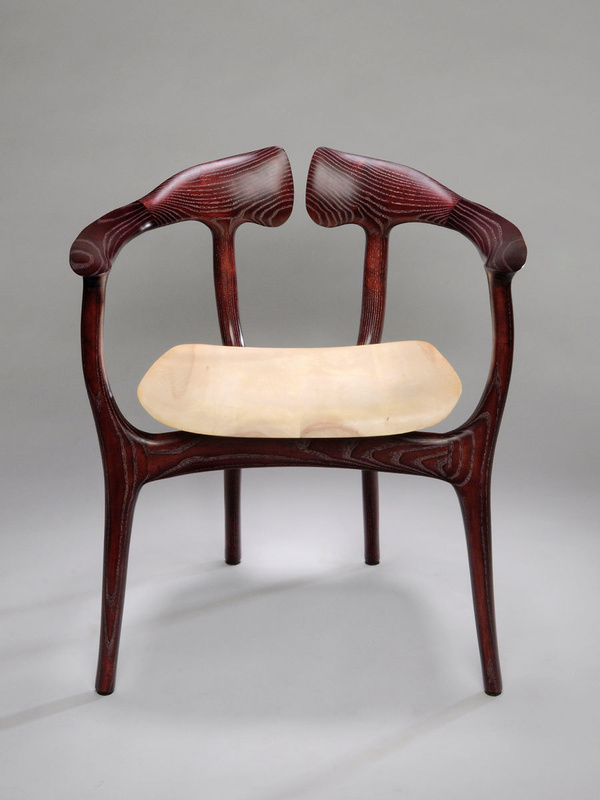 His work is fluid, with its own strength, style, and character, allowing the wood’s natural beauty to speak through his design. The joinery is impeccable. His furniture is, in a word, elegant. 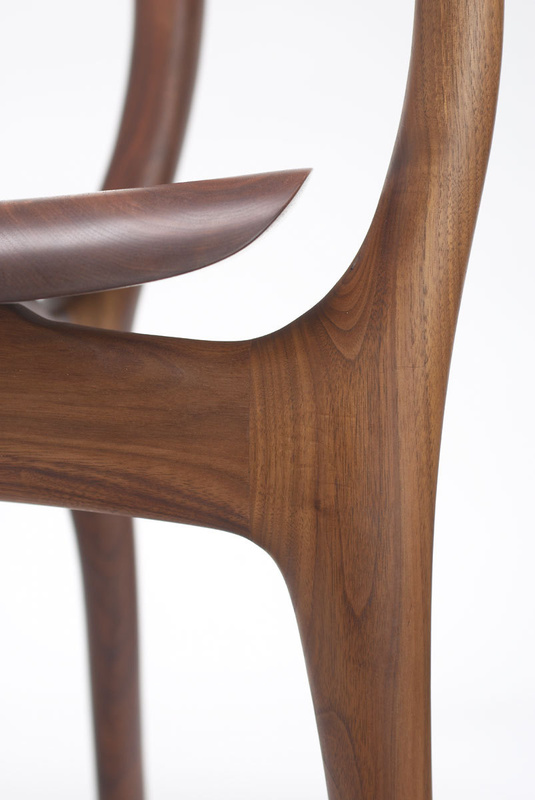 Wood has such innate beauty, and sculpting it is gratifying to Brian. 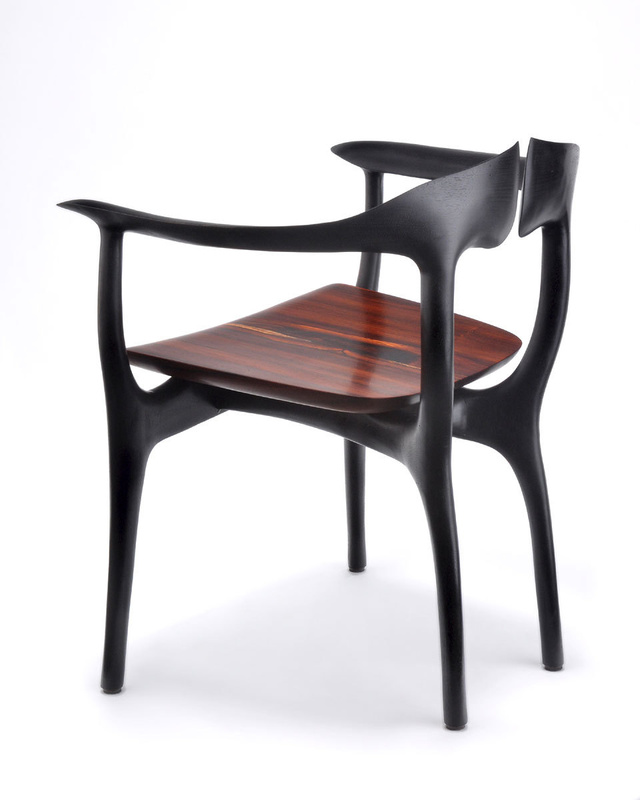 He likes to contrast harmonious woods together in his designs, as in the seat and frame of a Swallowtail chair, his award-winning signature piece. 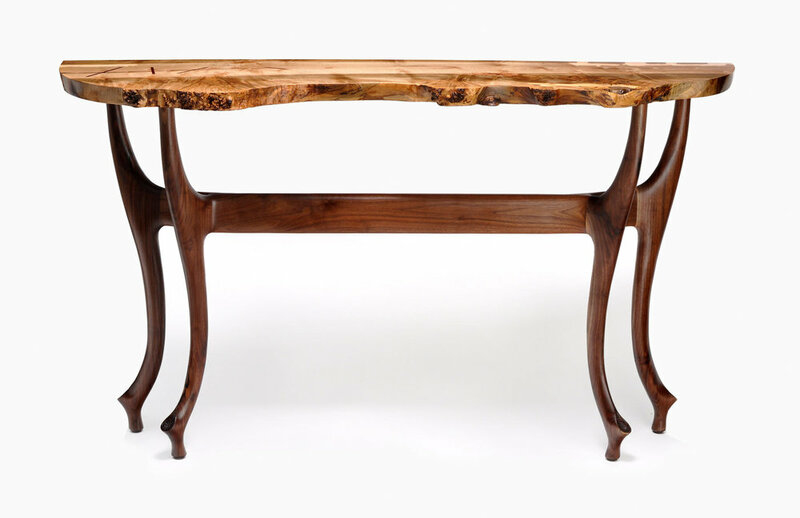 Some of Fireman’s table or cabinet designs leave the natural edge of the wood intact as a focal element. Each piece of furniture is designed to last and to can be enjoyed as a functional work or a thoughtfully created work of art. The list of publications featuring Brian Fireman’s furniture includes Architectural Digest Home and Design Show, Fine Furniture International, Interior Design, and Interior Design. 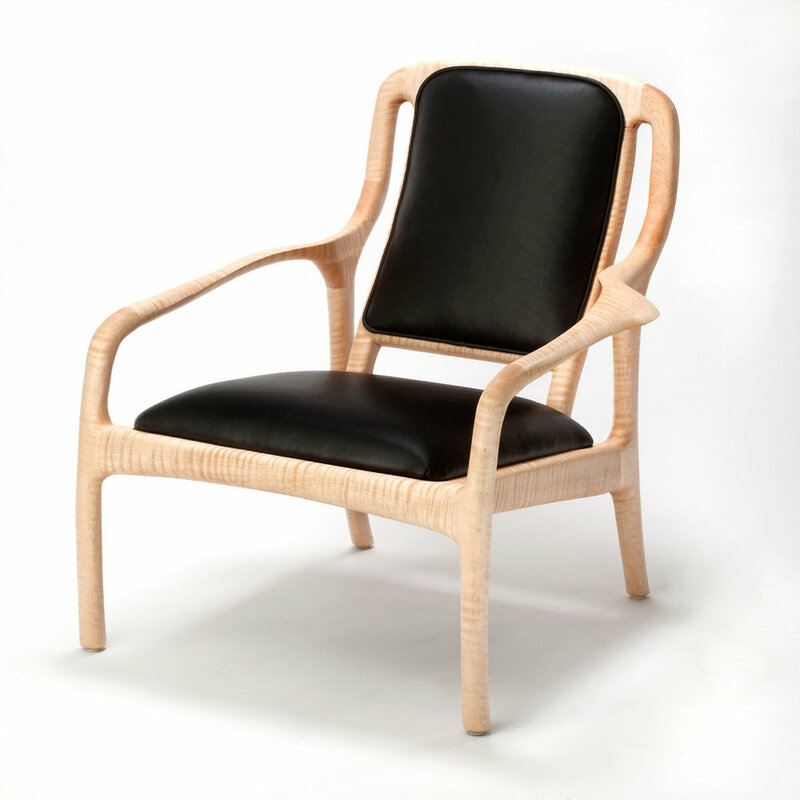 His Swallowtail Chair was awarded a Best of the Year honor by Interior Design magazine. 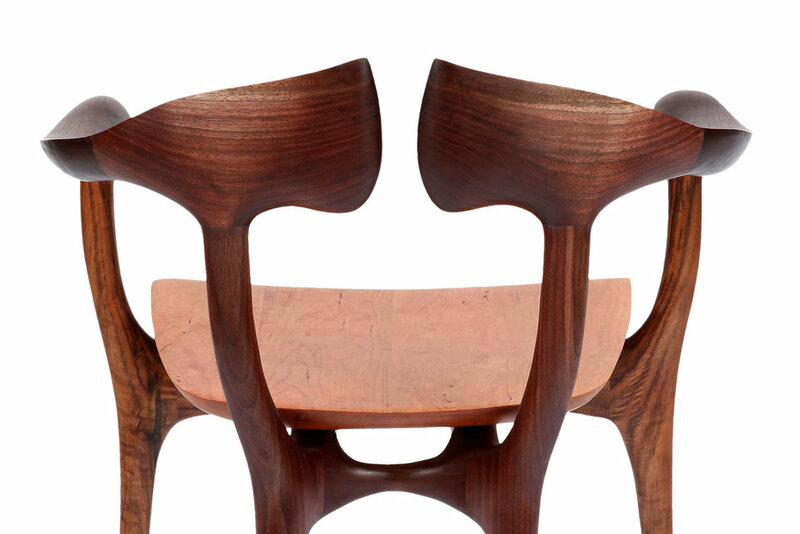 Go with Art Connections to meet and Brian and learn some of how he designs and makes these elegant home furnishing pieces, each one a work of art.